This week, in the member's corner, we are pleased to introduce you to SARAH GARNER, founder of RETYKLE. Sarah is dedicated to evolving the luxury fashion consumption in a more conscious and eco-friendly way. We would like to share with you her story! Hello Sarah, can you tell us more about yourself? I previously worked with some of the top luxury fashion companies, including Lane Crawford, DFS and Shanghai Tang, but being immersed in the front lines of fashion consumption for over a decade can leave you feeling a bit disenchanted with the industry... I wanted to apply my experience to something which felt more purposeful. After I had my first child, a friend gave me a large number of luxury hand-me-downs which took my son through his first year. I valued each item, bearing in mind it was secondhand and gave her an equivalent value gift card to one of her favourite stores. I figured that there had to be a better way to reward parents for buying good quality clothing and keeping them in circulation rather than always buying new items. And so from there, the idea of Retykle was born. Awesome! So how does RETYKLE work? Retykle is an innovative luxury resale e-commerce platform that removes the traditional hassle of peer-to-peer childrenswear trade. It is the easiest way for busy parents to clean out their kids’ closets, earn cash back and buy designer children's fashion with up to 90% off. We accept and sell over 500 of the best children’s brands from across the globe in new with tags to gently used condition from ages 0-12. 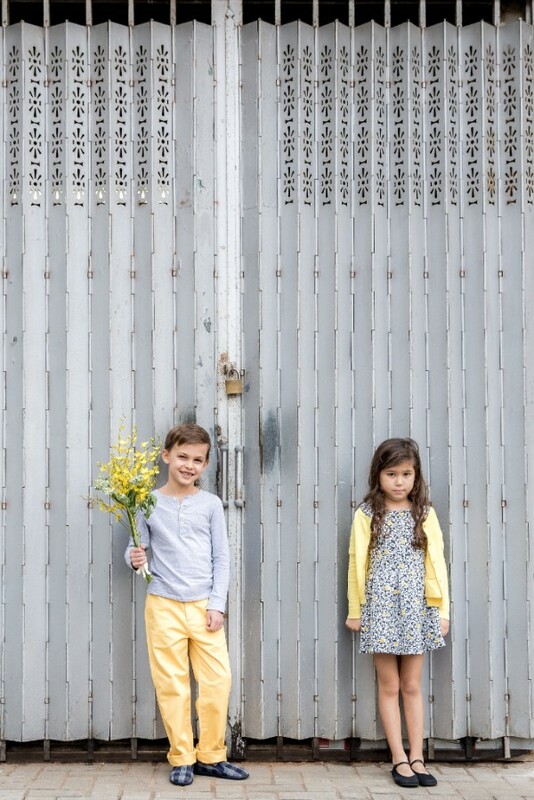 Retykle not only benefits your wallet and the environment but also makes childrenswear resale as convenient and as stylish as buying new. This is so important. What's your long-term vision? We have developed an effortless way to keep high-quality kids clothing in circulation. Retykle's business model allows you to buy, wear, sell, repeat until your children grow up and stay the same size! We are promoting a sustainable way to rotate through an average 1500 items of clothing per child. We also work with local charities to ensure that any items which aren’t resold with us reach those in need. Our vision is to make secondhand as good, if not better, than buying new resulting in a positive impact for parents, the community and the environment.